Yet given the benefit of the doubt, there is no question that expanding high-speed rail needs to remain a top priority in developing a comprehensive national transportation network. It isn’t as if China has invested only in high-speed rail at the expense of other forms of transportation infrastructure such as roads and airports- in fact the country has been busy building both in addition to focusing on trains. Developing high-speed passenger rail makes a lot of sense in China given the large population of the country’s urban areas. 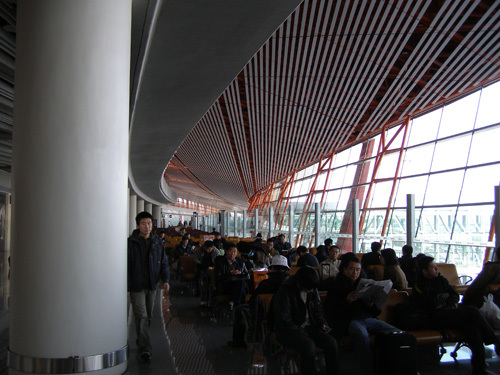 Intercity lines between large cities that are too close to be serviced by frequent commercial flights, such as Guangzhou-Shenzhen, Beijing-Tianjin, and Chengdu-Chongqing, are always packed with passengers. I know because I have been on each of these lines several times. Commentators who argue that no one is riding China’s new trains because the cost of tickets is too high should try taking a trip on one of these new lines sometime. For cities that are further apart, the argument against high-speed rail connections might have a bit more merit. After all, what is the justification for building high-speed rail lines between Chinese cities that are far apart when the cost of flying would be about the same and the travel time less? The answer is simple: convenience. Anyone who flies frequently within China knows that long delays are not uncommon. Most often this is not due to weather problems but attributable to a massive amount of air traffic. In fact, domestic flight delays last year were the worst in 5 years. Part of this has to do with the fact that many of the country’s airports are undersized and haven’t kept up with the huge increase in domestic air travel in the past decades. For instance, in Chengdu, the city where I live, the airport has only one runway which means that planes often have to queue up for long periods before being permitted to takeoff. Although the airport is now expanding and a brand new airport is planned in another location outside the city, the air traffic problem doesn’t appear to be letting up in the near future. Long distance high-speed rail offers a truly viable alternative to air travel in China. When the Beijing-Shanghai high-speed rail line opens this year, travel time between the cities (which are about 1300 km or 800 miles apart) will be just under 4 hours. Comparably, a flight between the two cities is roughly 2 hours. Factor in security lines, potential delays, and baggage claim, and the total travel time approaches something similar to that of taking the train. Detractors of China’s high-speed rail ambitions seem to always forget one important factor: the sheer size of the country’s population. Critics often point to the relatively high price of high-speed train tickets in arguing that this form of transportation is out of reach for millions of Chinese citizens. Yet what they consistently fail to acknowledge the rapidly growing ranks of the middle class. According to Baizhu Chen, an economics professor at the University of Southern California, China is expected to see a 14% annual rise in wages over the next 5-10 years. Who is to say that these new members of the Chinese middle-class are not going to be filling up the high-speed trains in the future? Around the world, ease of mobility is paramount to freedom of choice regarding employment and lifestyle options. China critics who would like to see the country become more ‘free’ should applaud the country’s effort to promote many forms of mobility for its citizens. In the future, connecting China’s urban areas with high-speed rail is likely to pay dividends in terms of economic prosperity and quality of life for the Chinese people.